The Perfect Two Bedroom Home in the Perfect Location. 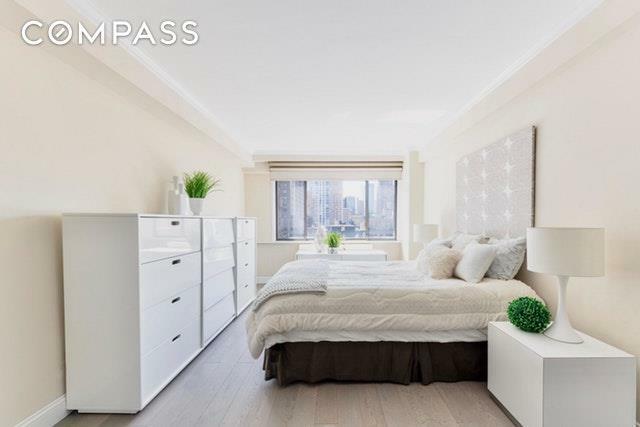 This exceptional two bedroom, one bath home with generous closet space, is located directly across from the Hearst Tower. 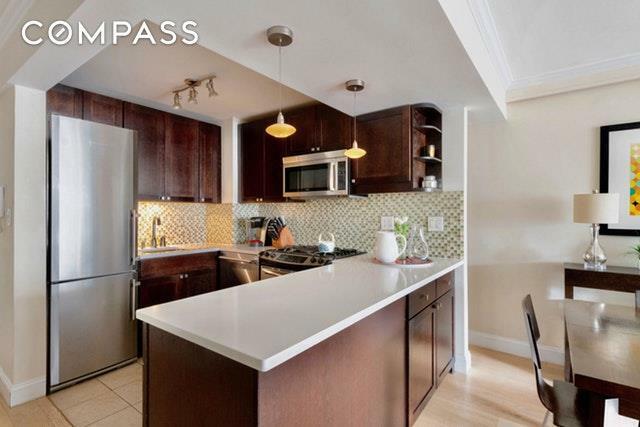 Upon entering this apartment, you are greeted with a lovely open kitchen with stainless appliances and a wonderful layout. Moving past the large, outfitted closets you arrive at the open dining and living room complete with full width windows and southern exposure. The open view ends with the newly opened Hudson Yards. 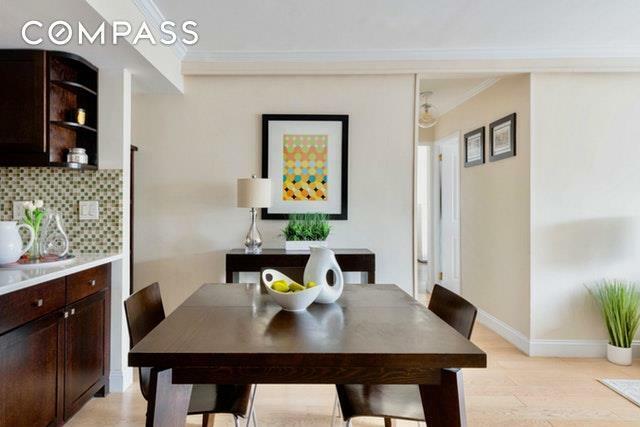 The apartment also features crown molding and plank-style hardwood floors throughout.310 West 56th Street is a friendly mid-century co-op built in 1964. Storage is available on the service level, as well as an updated laundry room. 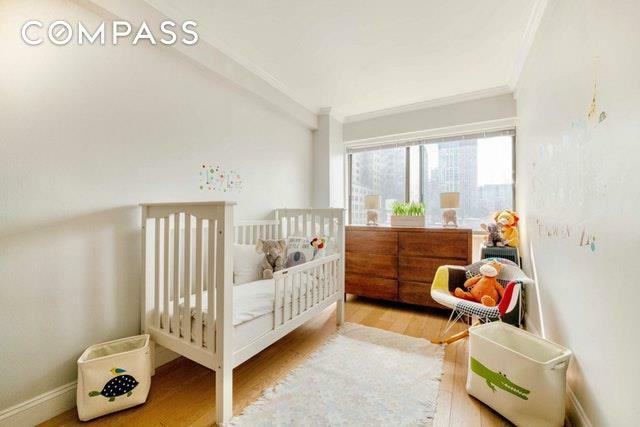 Beyond the wonderful staff, which includes a live in super, 24 hour doorman and maintenance man, 310 West 56th offers one of the finest locations in New York. Pied a Terre friendly, as well as parents purchasing for their children. Gifting, foreign ownership, co-purchasing and subletting are also permitted.Located in the heart of the Columbus Circle neighborhood, 310 West 56th Street boasts an enchanting list of neighbors; Carnegie Hall, Central Park, the Hearst Building, Time-Warner Center, Nordstrom, as well as some of the best restaurants in Gotham. Also, with eight train lines within a two block radius, there is no shortage of transportation options. Simply Superb!